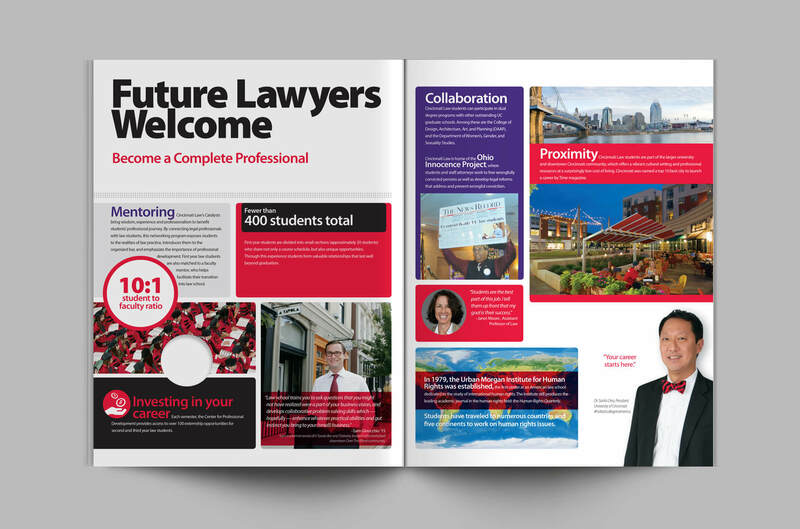 Rebranding the college’s viewbook helped showcase the students’ opportunities for a variety of real world experience and personal career development in starting their careers. 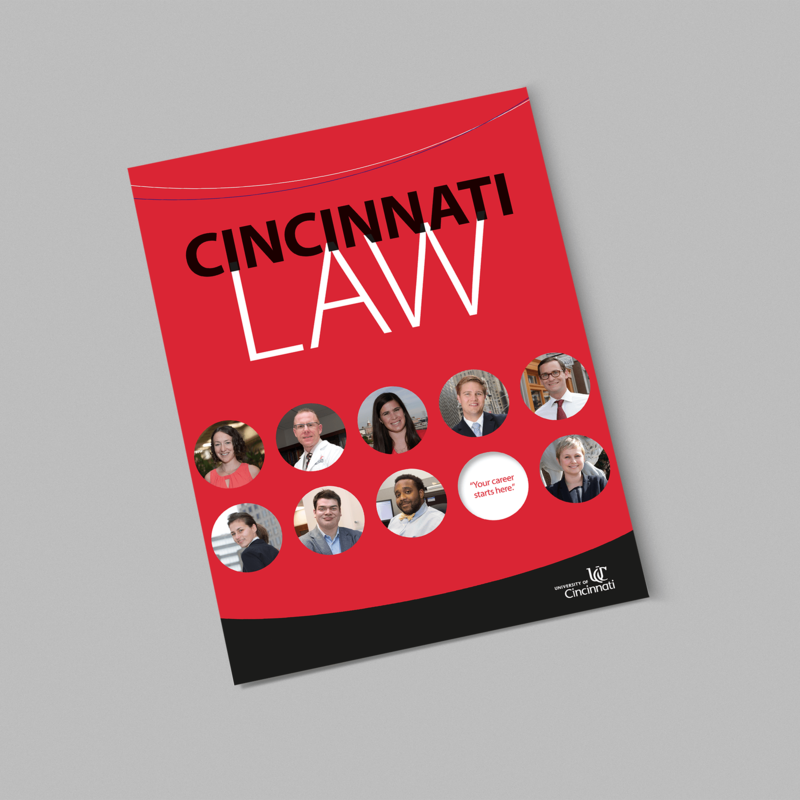 We helped bolster the college’s database of images using real students in various geographic locations which were repurposed for Cincinnati Law’s online marketing and social media content. Our role included developing the viewbook strategy, market research, stakeholder research and design.